The California Division of Operational Safety and Health (Cal/OSHA) cited Oakland, California-based contractor Bay Construction Co. over the trench death of one of its workers and proposed the company pay a $141,075 fine. The agency said that in April, Bay was dismantling a trench box while a worker was still inside. Another worker was using an excavator to remove 5,000-pound, shoring-system rails when a bridle sling hook failed, dropped a rail and crushed the worker inside the trench box. Cal/OSHA issued Bay a total of nine citations — five general, two serious, one serious accident-related and one willful-serious accident-related — for a variety of violations, including failure to: ensure that no workers were in the trench shield while it was being dismantled; use adequate bridle-sling hooks; inspect the excavation site daily for potential hazards and train employees on working safely around excavations. Currently, there are 22 U.S. states and territories including California that choose to administer their own worker safety and health plans. These programs must be approved by OSHA and meet or exceed the agency's standards. After approval, OSHA also continues to monitor these plans to ensure compliance. 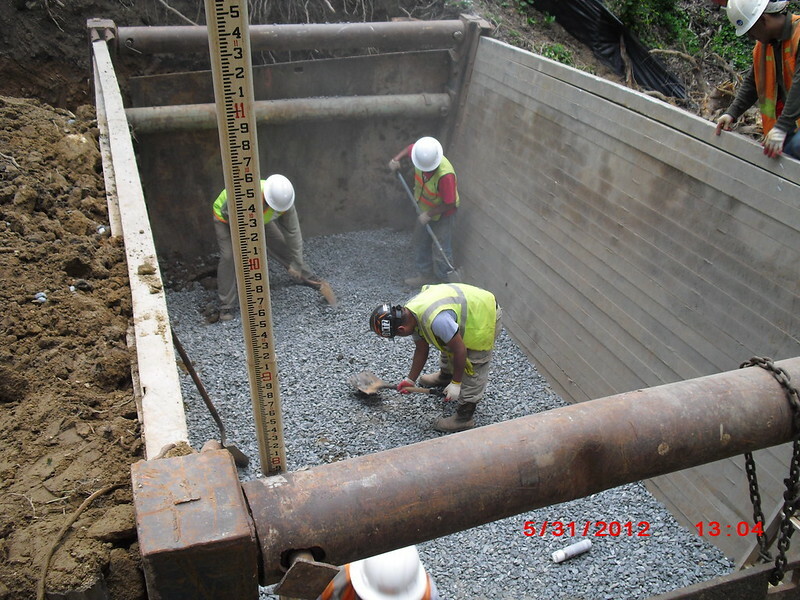 Both federal and state safety officials, however, have made excavation and trench safety a priority. To streamline the rulemaking process, some states, like South Carolina and Oregon, adopt many of OSHA’s standards, including those for excavation and trenching. In October, OSHA updated its National Emphasis Program for excavation and trenching after statistics revealed that these types of accidents were on the rise. As part of the new initiative, OSHA will step up its efforts to educate contractors about excavation and trenching safety — including the development of local OSHA office outreach programs — but it will also increase and upgrade enforcement. In addition, agency inspectors will now enter records of their trenching and excavation inspections into a national reporting system. OSHA is still in the midst of its planned three-month outreach period and will hold off on its new enforcement efforts until Jan. 1, 2019. The agency will still conduct routine inspections during this period and will continue to respond to excavation and trenching accidents. The revamped National Emphasis Program will remain in effect indefinitely.